Department of Commerce facial recognition group falls apart, privacy advocates quit. 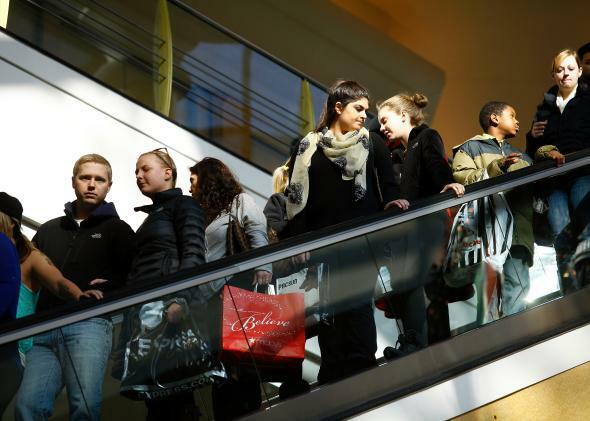 Shoppers look for Black Friday deals at Somerset Collection mall on Nov. 29, 2013, in Troy, Michigan. Soon, you might not be just another face in the crowd when you go shopping. The FBI has been developing a powerful and extensive facial recognition database for years now. Facebook has one, too. (For tagging! Right? Guys?) But if the technology seems a little creepy to you, you’re not alone. Google even banned facial recognition apps on Glass in 2013. Now a Department of Commerce working group meant to reconcile these issues is struggling after all nine privacy advocates on the committee quit. The working group, known as the National Telecommunications & Information Administration’s “Privacy Multistakeholder Process,” began meeting in February 2014 to bring together commercial interests and privacy supporters as a way of developing recommended best practices. After 12 meetings, the opposing interests were apparently no closer to compromise. Based on the meeting agendas, it seems like the sides would go back and forth, alternately presenting on the commercial benefits of facial recognition (like customized shopping recommendations based on what you’ve bought before) and the privacy threats it poses (companies can track where you are). At this point, we do not believe that the NTIA process is likely to yield a set of privacy rules that offers adequate protections for the use of facial recognition technology. We are convinced that in many contexts, facial recognition of consumers should only occur when an individual has affirmatively decided to allow it to occur. In recent NTIA meetings however, industry stakeholders were unable to agree on any concrete scenario where companies should employ facial recognition only with a consumer’s permission. Since it doesn’t seem like an industry compromise will emerge anytime soon, maybe it’s time to bring in the Faceless Men and calmly sort this whole thing out.